Non-instructional sessions on Monday 9AM Aina Koa park and Friday 9AM Kilauea park is ongoing as long as the park is open. We do not take any breaks. Email me at everydaytaichi@gmail.com for information about registration. Non-Instructional session is ongoing throughout the year, ALL can participate. 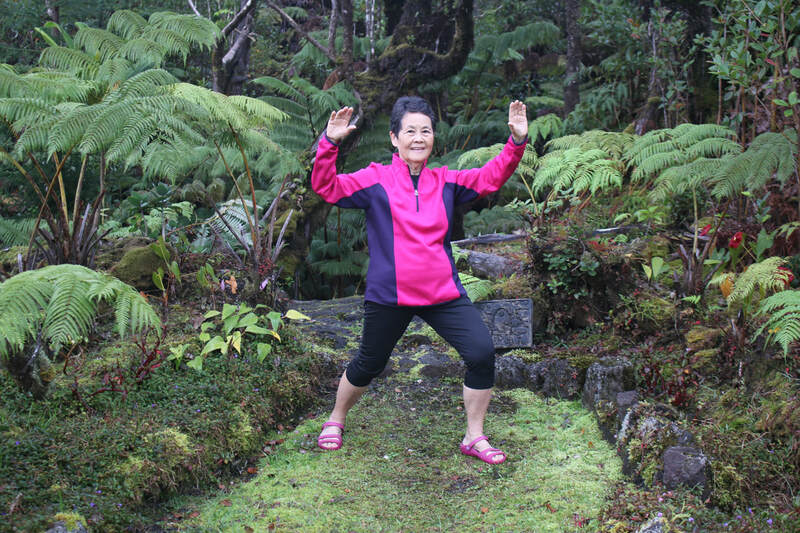 Click here for more information on Kilauea District Park everydaytaichi by lucy chun. ​Click on the play arrow below to see everydaytaichi Lucy's students in Level 1 Thursday 9AM class perform Yang 10 form tai chi. Click on the play arrow below to see everydaytaichi Lucy's students in Level 2 class perform Yang 24 form tai chi. Click on the play arrow below to see everydaytaichi Lucy's students in Level 3 class perform Yang 16, Yang 24 and Yang 10 forms.